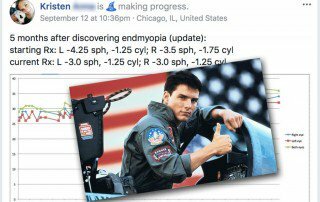 Let’s look at a great detailed progress report from our very own Facebook forum moderator, Kim. 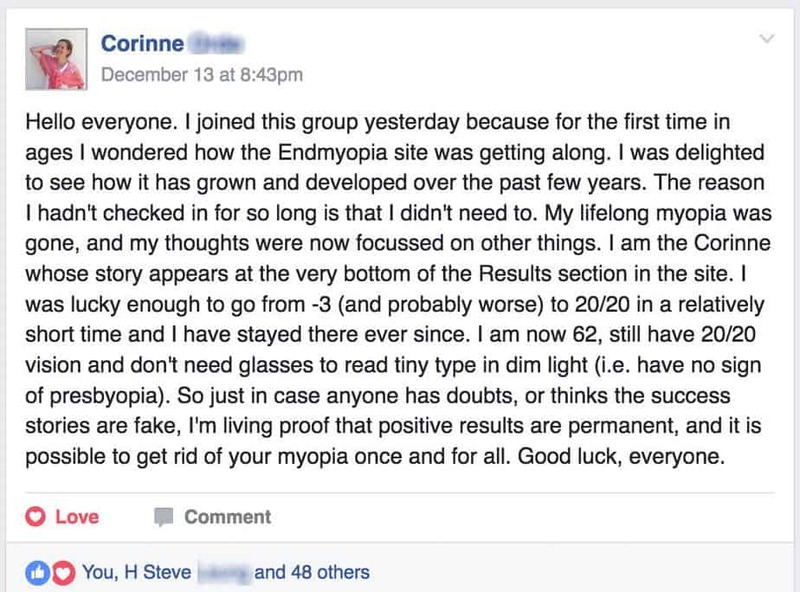 It is fantastic that some of our students come back to endmyopia to help others along with their journey. And in this case, even volunteer with some of the things that may otherwise drive an old eye guru a little (more crazy). Hey guys, this is going to be a long post. 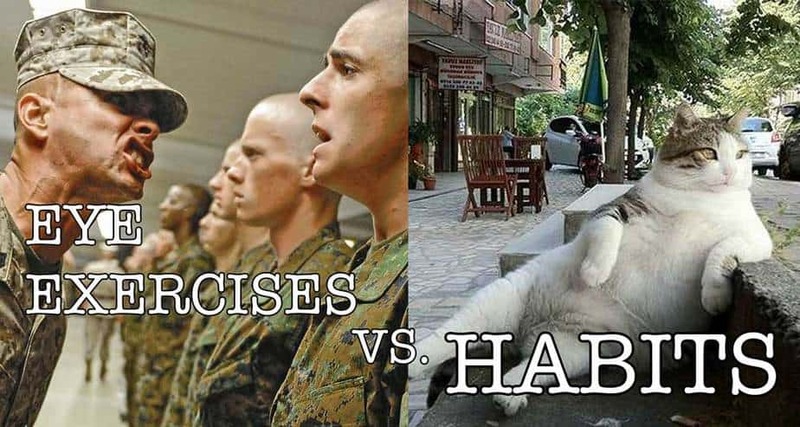 I started this program 2015 January I believe. 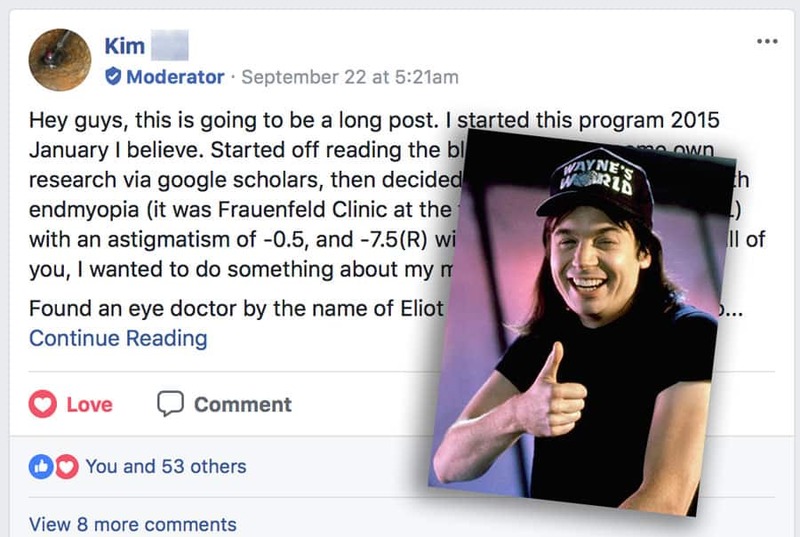 Started off reading the blog first, doing some own research via google scholars, then decided to do the paid program with endmyopia (it was Frauenfeld Clinic at the time). I started off at -6.5(L) with an astigmatism of -0.5, and -7.5(R) with astigmatism of -1. Like all of you, I wanted to do something about my myopia. Found an eye doctor by the name of Eliot Kaplan in the Bay Area who seems to actually know his stuff. Needless to say, he was pretty amazing. 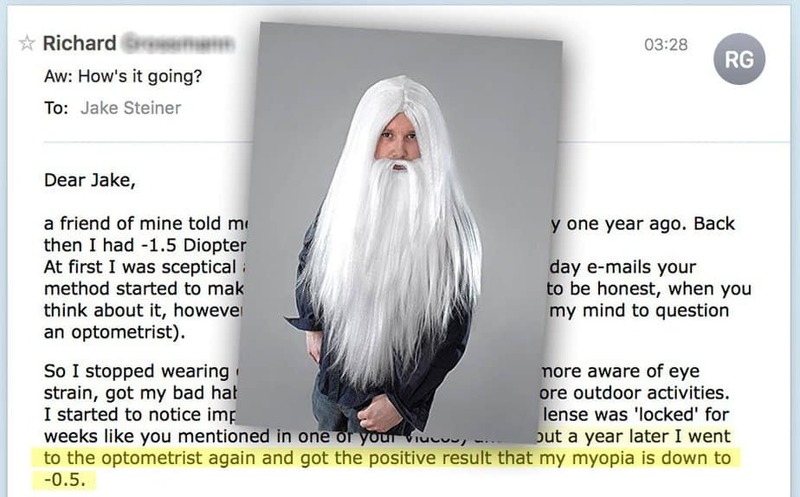 He was skeptical of course but he did admit he has seen people naturally improve their vision. Anywho, I went to see him today and got my full vision exam from him. Eyes are very healthy, no glaucoma. Macula was healthy so there were no signs of anything going kaput with my retina. 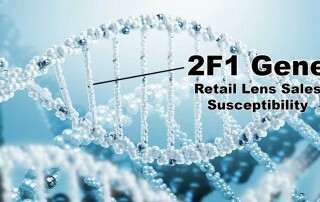 – spherical has dropped by 2.25 diopters for my left eye and 2.5 diopters for my right eye. – the difference between my two eyes is now only 0.75 diopters instead of 1 diopter. 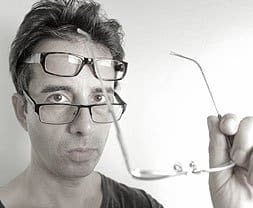 He also prescribed me a differential and mentioned that he would strongly recommend that I use a prescription where I can see approximately 50-60 cm without eye strain from the screen. I told him I could see without my glasses if I move my laptop closer, but he mentioned that I should stick to 50-60 cm since the neck strain can also have some impact. I vaguely remember reading this on the blog before too. 1) This method works for me. Progress is slow as expected. 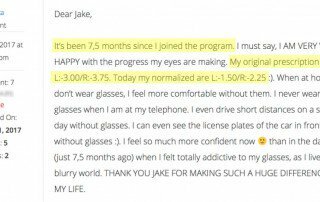 Being a software engineer definitely doesn’t help, but it DEFINITELY works, and I’m still improving on average 1 diopter per year, which is what is expected. 2) The autorefractor test doesn’t always tell the whole story (I would argue it rarely does, but a whole topic on that another time). If he didn’t do the test after as thoroughly as he did, then we wouldn’t have found that I actually had an over 2 diopter improvement and that I had no astigmatism for my left eye. 3) Don’t drop so quickly. Part of the reason why I felt like my progress probably stagnated for a bit was blur adaptation. My current normalized (-3.25 and -4) was unnecessarily too low, which caused more eye strain. Now that I have a better idea of where I am, I will be ordering new glasses. Good luck everyone. I hope something in my story helps you guys. Too long to screenshot this one! The full thread is here on Facebook. Also consider how much Kim is giving back to help everyone with their vision improvement journey. 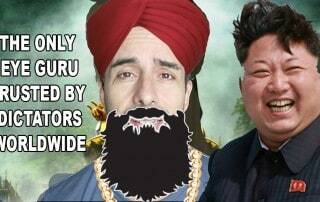 Not only partaking in the paid program but then also helping with the Facebook group! I get a lot of e-mail every single day, “Jake help me with this”, “Jake explain that”, and often I look at those e-mails, contemplating how much time people ask for, and how little (if anything) they contribute back. Then you look at examples like Kim with a busy life schedule, job, etc, still making a little time to help us all out. Help others who aren’t sure if we’re just more unicorn farmers, others who are looking for feedback and encouragement, by sharing your experiences. And that’s all. Great job, Kim!